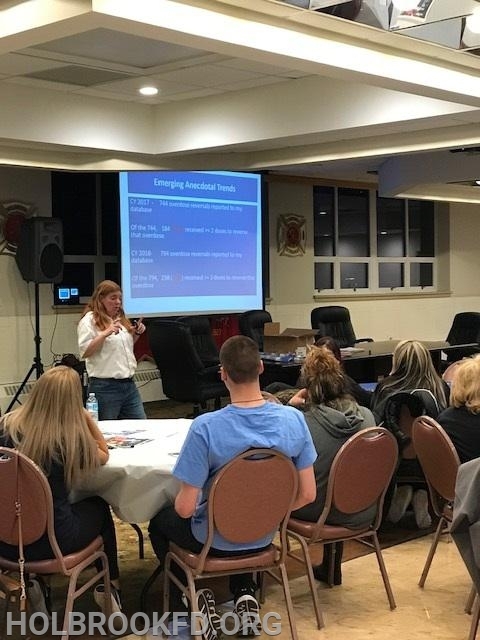 On Friday, April 5 2019 members of the community attended a training class that was held at Fire Headquarters. 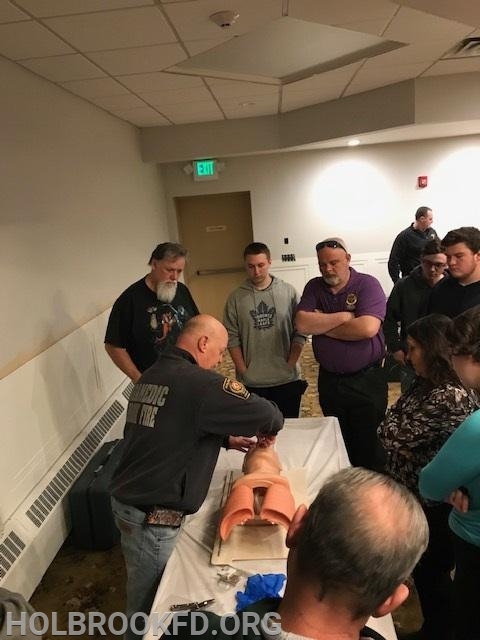 Attendees were trained to recognize and reverse the signs of an opiate overdose. This is the first of many community training classes sponsored by Legislator William Lindsey and the Holbrook Fire Department. There will be a Pool Safety Class with hands only CPR training on Saturday May 4.